I've always seen people throughout their military careers have memories of the places they have been stationed. The most common of which are signs that say "Home Is Where The Navy Sends Us" (or whichever branch) with smaller signs for each duty station below it. I had always been attracted to having one, but never really put forth the effort to get one. They always looked like something Hubby and I could easily make and weren't really worth spending the money for. At our last duty station we did a painting party and one of the options was to make one of these signs. I was sorely tempted to get one, but I knew that Hubby was getting off of active duty so having a sign like that wasn't going to have as much meaning at the end of our career as it would to have one we built throughout our career. 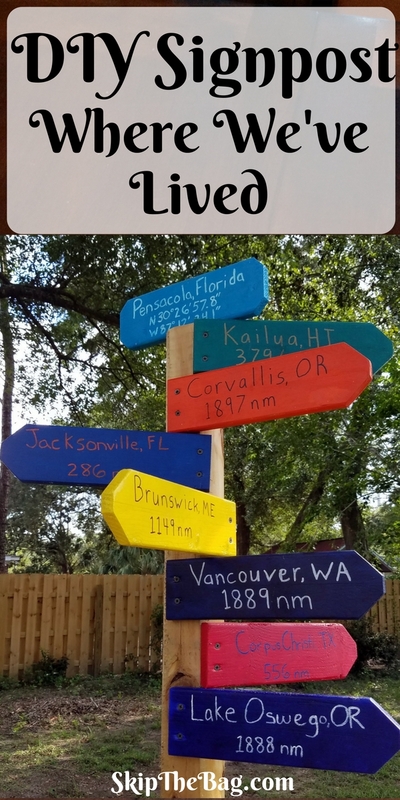 However I saw a sign post at a friend's house where it pointed the direction of their friends and places they had been stationed and I knew that would be perfect for us! It would be a sign post alternative to those signs and we would have a sign pointing towards each of our homes and cities we've lived. We made a list of what places we wanted represented, the direction of that city, how far it is and, since Hubby is a pilot, the identifier of the closest airport. 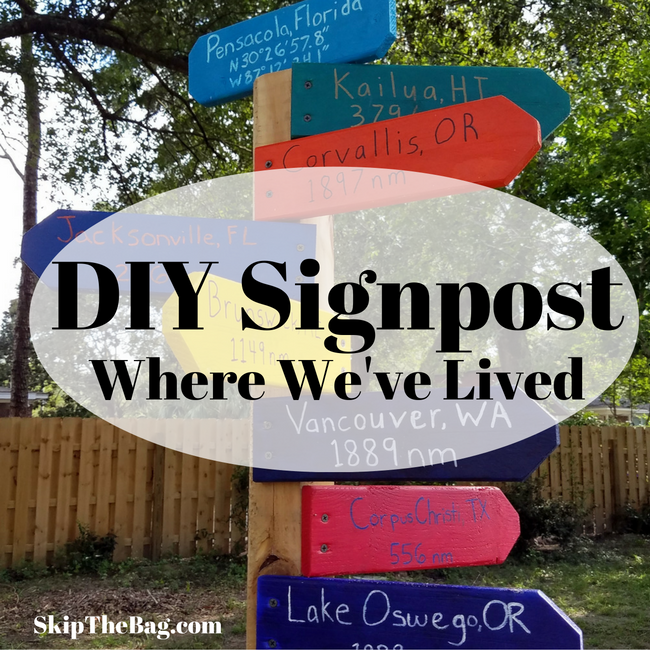 We purchased a piece of lumber for post and had some scrap 2x4 for the signs. We painted the signs in colors that we felt represent the city best. Usually that meant either the school colors or squadron colors of that time. The back has the airport identifier. 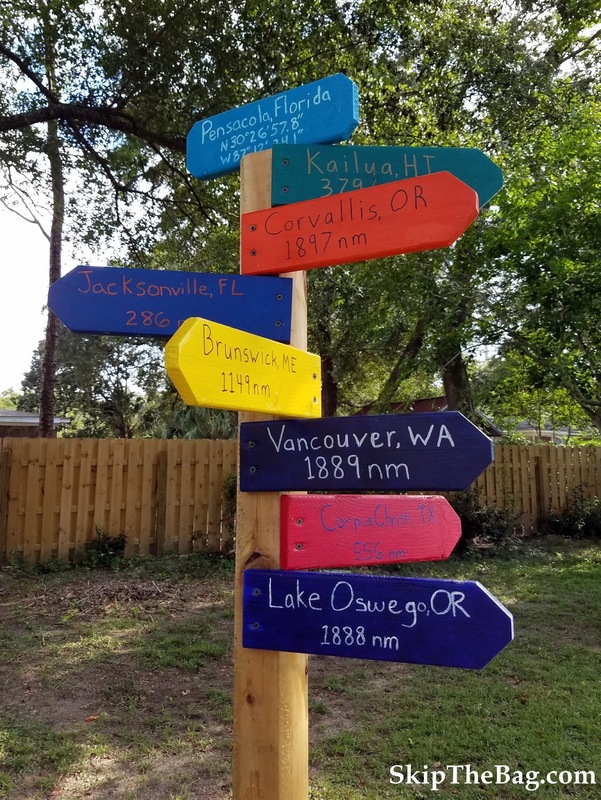 Once painting the signs and covering them with a sealant we screwed the signs into the post in the direction they are relative to our home in Pensacola. It was a little tricky making sure the angles were correct, but fortunately most of them would face the same general direction. I love the colorful reminder of all the places we have lived! Looking for another project? 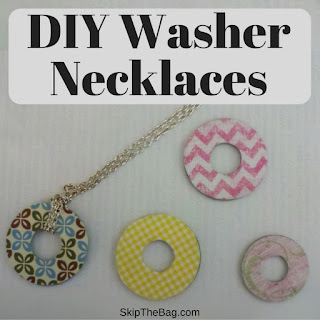 Check out the washer necklaces that you can personalize to go with any outfit. What a great idea! I grew up a Navy brat, and this would have been fun to do as a child! Absolutely! Most people don't move around that much, but those tied to the military do! It would be fun to do with favorite places you've traveled to though. This is so cute! I haven't lived that many places, but this would be super cool to do in the future! Cute idea! 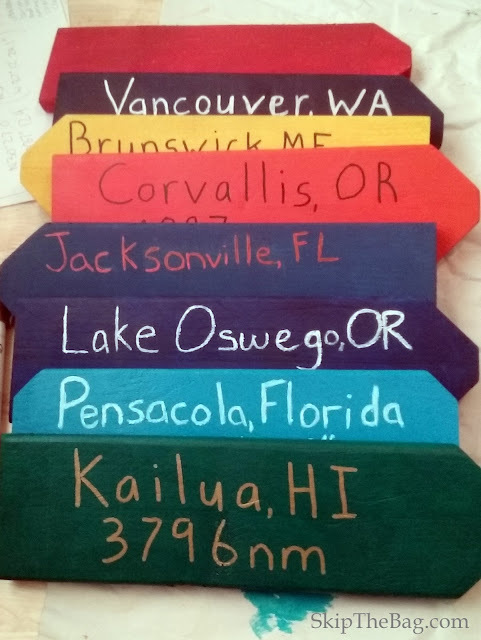 I have plans to make one for us, but ours will point to places we have traveled to. Thanks! This is our forever home, but I'm considering adding places we've traveled too also! Love that idea! 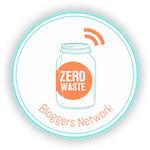 Thanks for linking up at #SustainableSundays!